My dad always make payments on time. He doesn’t owe a dime about HOA’s fee even though the property manager charged him late fees. We just received a letter from a law firm saying, “after reviewing your case, we have the reason to believe you may have certain rights to defend yourself in this case,” and “if you have been the victim of financial hardship or need assistance paying your debts, we may be able to: dismiss case, eliminate debt, stop collection calls and protect personal assets.” I don’t see they offer anything like representing us to sue back the HOA, the board directors, property manager personally… Anyway, thank you this law firm for letting us know about this case. Without their letter, we don’t know we have been sued for 11 days so far. I invite all you watching the video clip to know what I’m talking about. We Are Getting Sued by HOA. We just received a letter from a law firm saying if we need a lawyer and they are there can help like dismiss case, eliminate debt, stop collection calls, protect personal assets. We don't see they offer that they can represent us to sue back the HOA because just a debt relief firm. I invite all you watching the video clip above to know what I'm talking about. I'll tell you all what're going on with us for these years. How miserable things we have been dealing, dealing for a very long time. According to their lawyer confirmed we're dealing these stressful stuffs since 2010, almost 10 years. I’ll tell you all what’re going on with us for years. How miserable things we have been dealing, dealing for a very long time. According to their lawyer confirmed we’re dealing these stressful stuffs since 2010, almost 10 years. Just couple months they (HOA) hit us another letter. I was a great person, very calm, no one could make me mad or upset and, now, after living with HOA 22 years, I become a person who is upsetting, frustrating and shaking easily, afraid talking to the people especially my neighbors (they’re good neighbors and did try help me in the meeting), omitting to see people, afraid picking up the phone, having nightmares, easy getting blood boil, self falling so bad in the room… Luckily, I don’t have kids so these don’t pass on to them. So how my dad have been dealing. I just want to let you see how we are and how the things have been affecting our lives, so do others. 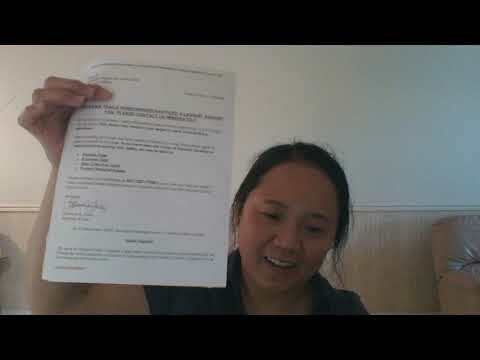 I won’t forget the date I mentioned in the video from the letter, the date HOA filed the suit. That date will stay forever in my head because the following date was the date my 95 years old grandmother (my mom’s mom) passed away but we were unable to attend and also the date was my grandfather (my dad’s dad) passed away 28 years ago, six months before we left Vietnam. I will show the pictures relating this matter which the board’s president doesn’t want me to upload into Facebook.